Today two Brocade 1020 network cards arrived. You may wonder, what’s special about them. They are capable of delivering data rates up to 10 Gbps per port. I plan to upgrade the connection from my PC to my home server. This link is currently limited by the 1 Gbit between them. But let me start at the beginning. Although both my server and my PC have two Gbit NICs, link aggregation or teaming never worked really good/ at all. Also I bought a managed switch, which is required for link aggregation, just to realize that the Realtek software to aggregate the links under Windows, is only able to do this up to Windows 8.1. At least I got a 2 Gbit connection between the server and the new switch. So I made the decision, to buy something more reliable and of course faster. 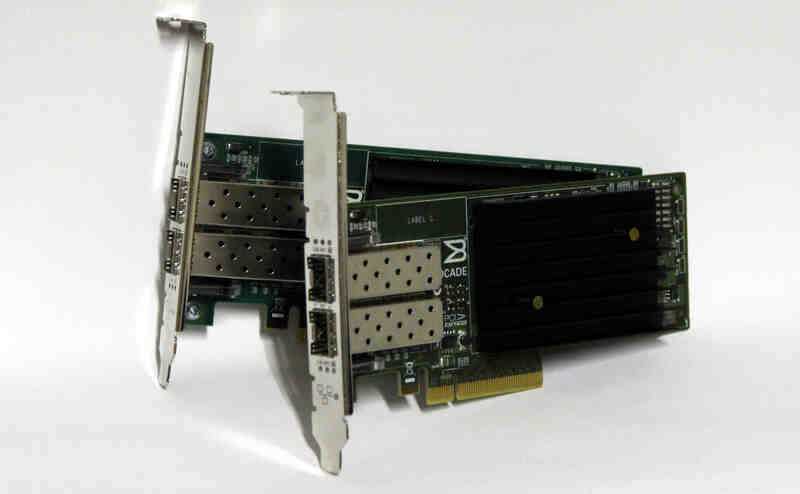 My first thoughts were Fibre Channel (FC) and Infiniband (IB), because there were cheap cards available on ebay. But if you plan to use the TCP/IP stack, FC offers only the FC over Ethernet standard, which is practically dead. IP over Infiniband allows you to run TCP/IP over your IB network, but you lose effective bandwidth to the IB overhead and the TCP/IP protocol. Also the card has to support IP offloading, to reduce the CPU load. IB may be a good option for you, if you get the right cards for a good price and don’t plan to expand your network. 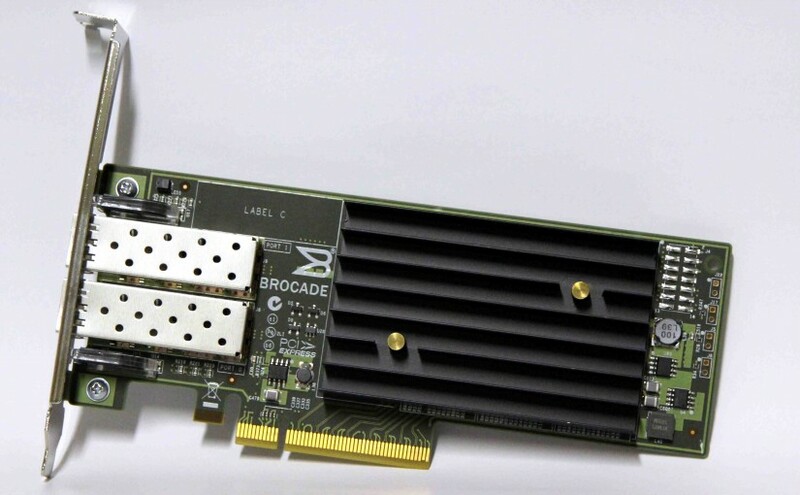 After googling and searching on ebay I found the Brocade 1020, which support the upcoming 10 Gbit ethernet standard. At least upcoming for networks at home. I want to be able to connect the second port of the card in the server to a switch. Not spend money on a soon to be dead standard (FCoE) or Infiniband, which was also not designed to transfer IP-packets. The Brocade 1020 features two ports for SFP+ transceiver to connect fiber optic cabels. These modules mostly aren’t included with the card. 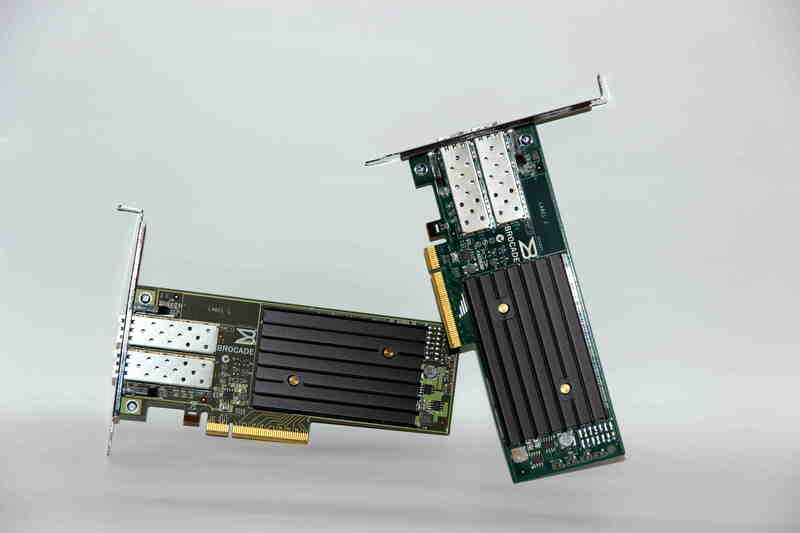 If you plan to also buy a Brocade network card, pay attention to buy Brocade branded SFP+ modules. Only these will work for sure. Another option is to buy a direct attach cable between to cards. But those cables are nearly as expensive as two SFP+ modules and a fibre wire. Also you can’t change the length of the direct attach cables as cheaply. All in all I got the two used Brocade 1020, two new SFP+ modules and a LC/LC optic fibre cable for a bit over 100 Euros. My transceiver are still on their way, so when they get here, I’ll write a new post including some benchmarks. As always, feel free to comment, if you liked this post or have questions.